Dynamic vocal duo Bobby & Laurie was one of the leading acts in the first wave of Australian 'beat pop' 1964-67. They cut a series of fine recordings which rank alongside those of Billy Thorpe & The Aztecs, Ray Brown & The Whispers, The Easybeats, Normie Rowe and MPD Ltd as milestones of Australian pop in the mid-60s. Although perhaps not as well remembered today as some of their contemporaries, they were one of the most popular and successful acts of their day, and deserve a lot more recognition for their contributions. Bobby, Laurie and the members of their regular backing band, The Rondells were all important figures in the development of the Melbourne rock scene, and their History is also a great illustration of the intricate (and sometimes confusing) interconnections between the many groups of the '60s and '70s. Laurie Allen was a veteran of the earliest days of rock'n'roll in Melbourne. His first amateur group in the late Fifties was The Three Jays, followed by The Lories ca. 1958. He was a member of The Roulettes in 1958-59, then from 1959-61 he was lead guitarist for Malcolm Arthur & The Knights, one of Melbourne's pioneering rock & roll bands. Original Knights members Graham Trottman and Phil Blackmore later joined Normie Rowe's backing group The Playboys. After leaving the Knights he joined The Blue Jays as singer/organist in 1962. Laurie stayed with them until the end of 1963, when they became part of Ivan Dayman's Sunshine organisation; shortly after that, in 1964, they became the "Fabulous Blue Jays", the backing band for singer Tony Worsley. Laurie then rejoined The Roulettes, a long-running Melbourne revue band whose roster included brothers Ron Blackmore, brother Phil Blackmore , Graham Trottman and Bob Arrowsmith. By the time Laurie joined the Roulettes, Ron Blackmore had moved off the stage and into management. He assembled a stable of solo singers and groups that worked the booming dance circuit around Melbourne. It was at this time that Laurie first met and worked with singer Bobby Bright. Bobby had made his start as a solo artist in Adelaide, working for Dayman, and then moved to Melbourne. He also released two solo Singles on the W&G label in 1963. When Bobby and Laurie left The Roulettes in 1963, Ron Blackmore became their manager. Each initially struck out on his own, performing separate solo spots in one show (complete with coffin!) backed by Melbourne instrumental band The Hearsemen, which included a young Mike Brady (MPD Ltd) in its first lineup. Early in 1964 (11 March) Laurie made his first solo TV appearance, on Graham Kennedy's IMT. Later in the year, both singers appeared on The Go!! Show, a new TV pop show screening on Melbourne's recently-established third commercial station, Channel 0, and it was at this point that they decided to merge their solo acts into one, and "Bobby & Laurie" was born. Bobby & Laurie was one of the first Melbourne acts to adopt the new 'longhaired' image pioneered by The Beatles and the Stones, and they rapidly became a popular drawcard. Like several other important artists of the time, they became regulars The Go!! Show, and this led to a contract with the allied Go!! record label. 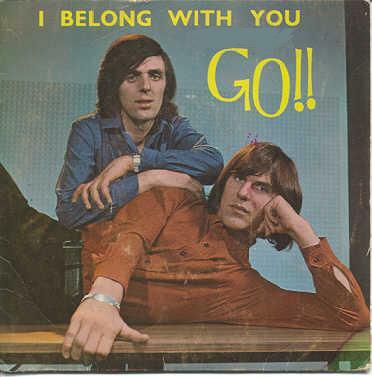 The record that started it all -- "I Belong With You" (August 1964) the inaugural release by the Go!! label. 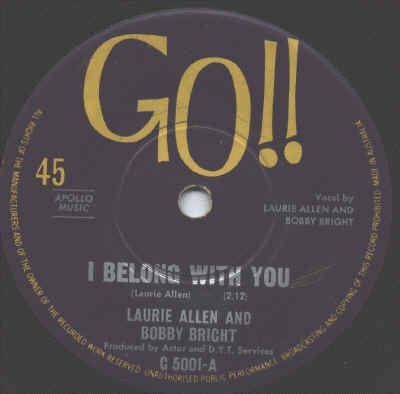 Their first single, released in August 1964, was a superb Laurie Allen original, "I Belong With You". One of the breakthrough songs of the Australian Beat Boom, the single is notable for many reasons. It was the inaugural release on the Go!! label (G-5001), and the first song by a Melbourne 'beat' act to break nationally and it was produced by the great Roger Savage, who had recently emigrated from the UK, where he had worked with Dusty Springfield and The Rolling Stones. The song's catchy, foot-stomping bridge (probably influenced by The Dave Clark Five hit "Bits & Pieces") helped propel it into the Top Ten in March 1965, and it became one of the most successful singles of the year, charting for 19 weeks. The song also won Laurie an Australian Record Award for 'Best Composition' in 1965. At this time Ron Blackmore also played an important part of the Easybeats story. While he was in Sydney plugging Bobby & Laurie on local radio in early 1965, he was introduced to the Easys by their manager Mike Vaughan; Ron was greatly impressed and suggested that they should come and play on Melbourne's booming dance circuit. He arranged gigs for them in Melbourne, including support spots on Bobby & Laurie shows and even loaned the penniless group money for the trip. Blackmore's help proved crucial in breaking them in that city. Several years later, he visited the Easys in London, and took the near-starving group out for dinner. As a result of his generosity, the Easys thereafter referred to Blackmore as their "rich Uncle Ron". With "I Belong With You" a smash hit, Bobby & Laurie needed a backing band, so they recruited Melbourne band The Impalas, who changed their name to The Rondells. The original lineup was Dennis Collins (drums), Dennis Tucker (bass), Ron Gilbee (rhythm guitar) and Bernie O'Brien (lead guitar), although Gilbee was later replaced by John Sullivan. This line-up backed Bobby & Laurie on most of their Go!! label recordings, made at Telefil Studios, but they split with Bobby & Laurie after a disagreement. Dennis Tucker was later a member of Johnny Chester's backing band Jigsaw, and Bernie O'Brien went on to form country band Saltbush. Bobby & Laurie were now major national stars, ably assisted by the top-notch backing of The Rondells. They wowed fans around the country with their dynamic stage presence -- according to Who's Who of Australian Rock, "... their stage act consisted of zany routines and choreography, maintained by the duo's total enthusiasm". The duo's meteoric career was largely occupied by a frantic round of concert, theatrical and TV performances and personal appearances; like many other top acts of the day, they played dozens of engagements every week, with as many as six shows every Saturday might at the peak of their popularity. Other notable appearances included playing Tweedledum and Tweedledee in a Xmas pantomime production of Alice In Wonderland at the Melbourne Tivoli in December 1964. In mid-January 1965 they made a memorable appearance on Johnny Chester's Teen Scene show on the ABC, when they were dragged off the stage by screaming female fans. On 23 January they appeared in the premiere episode of Channel 0's new childrens' program The Magic Circle Club, playing the characters Twoddle and Boddle. On 5 May 1965 TV Times reported that the duo had demanded a police guard for their appearance at the Carlton Football Club's rock'n'roll show on 9 May, following a riotous concert a few weeks earlier when they were mobbed by more than 2000 frantic fans and had most of their clothes torn off. On the recording front, they released three more successful Singles on Go!! during 1965 - "Someone", "Judy Green" (both of which were Top 10 in Melbourne) and "Crazy Country Hop" which reached #25. There were also prestigious support slots on international tours -- they were part of the Dave Clark Five / Seekers / Tommy Quickly national tour in May 1965, and later in the year they supported P.J. Proby. Early in 1966 they left Go!! and signed with Albert Productions and EMI's Parlophone label. Although some pundits apparently already considered the duo 'washed up', they surprised the critics by scoring three more Top 20 hits during the year -- "Sweet and Tender Romance" (#20 in Jan. '66), their hit version of Roger Miller's "Hitchhiker" (April), which was #1 in Melbourne, Sydney and Adelaide, and a version of the "High Noon" theme song (#14 in September). Probably around the time they left Go! 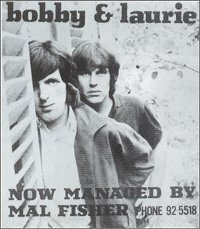 !, Bobby & Laurie also parted ways with Ron Blackmore, who was replaced by Mal Fisher, as evidenced by the advertisement at right, which was printed in Go-Set. During the year they appeared with Go-Set writer Doug Panther, being interviewed about the music scene for Peter L. Lamb's classic pop documentary film Approximately Panther. In July they were given their own show on ABC-TV called It's A Gas. The show originally had a teen-oriented format, but it was changed partway through the series to cater to a more sophisticated 'adult' market, and retitled Dig We Must. Apparently the change of format lost the duo a lot of their 'teen' appeal and led to more friction between the two singers. Their sometimes stormy relationship deteriorated during the later half of the year. They made their final TV performance together on New Years' Eve, and in February 1967 they officially split, after recording their last album Exposaic, which was almost exclusively country in style, except for the psychedelic nugget "Every Second Day". After the split, Laurie put together a soul revue along the lines of the popular Stax and Motown acts; originally called Dice, it was later renamed The Laurie Allen Revue (which was managed by Lee Conway). The lineup included Rondells Barry Rogers, Gary Young and Wayne Duncan, guitarist Phil Manning and as backing singers, sisters Glenys and Colleen Hewett. The Revue released three Singles on Festival - "Beautiful Brown Eyes" (Aug. 1967), "Any Little Bit" (Apr. 1968) and "As Long As I Got You" (Jun. 1968). Bobby meantime worked in cabaret, made forays into acting (including Homicide), and in mid-68 he became a DJ with Melbourne radio station 3XY. In early 1969 there was a reconciliation between the two singers, beginning with Laurie's appearance on Bobby's radio show in February. In September they announced that they would reunite, this time as a straight country act. They released two singles for RCA, including "The Carroll County Accident", then signed with Ron Tudor's Fable Records, for whom the recorded their last two singles, but they split again in mid-1971. Bobby resumed acting and singed a solo contract with RCA. In 1973 he appeared in the famous Melbourne concert production of Tommy. In July 1976 he released a self-titled album. He also wrote and recorded music for commercials. In 1994 he had a role in in Ana Kokkinos's dramatic feature film Only The Brave. Laurie continued to write and release country music in the early '70s and toured as the guitarist for boxer turned conutry singer Lionel Rose. Laurie signed with Col Joye's ATA label and recorded a solo LP in 1972, toured with country legend Slim Whitman in 1973, and regularly worked with and wrote for other ATA artists including Col Joye. In 1976 he wrote the song "Motivatin' Day" for 'Cowboy' Bob Purtell, which earned Laurie a Golden Guitar gong at the Tamworth Country Music awards. 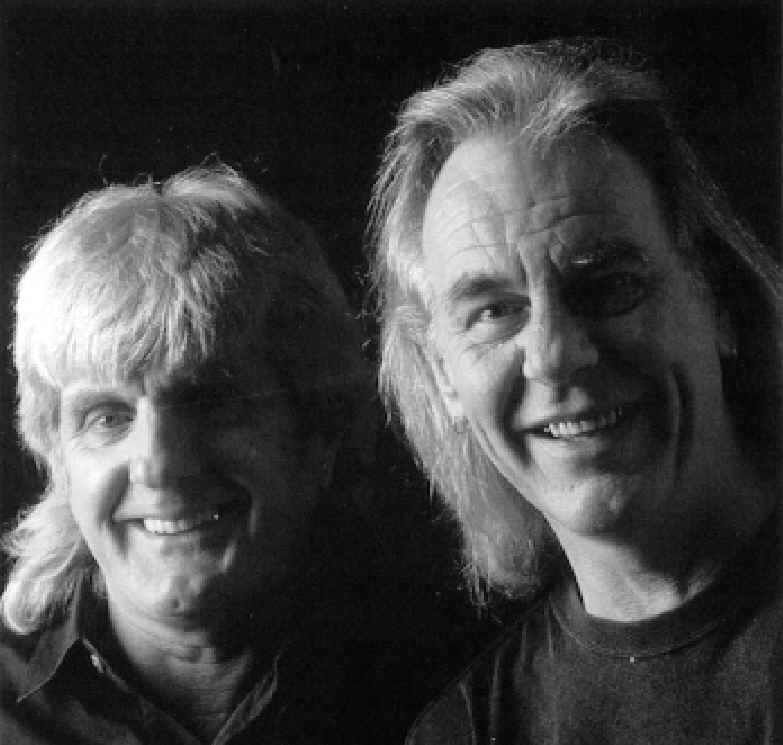 In 1980 Laurie was seriously injured in a car accident and was hopsitalised for many months, Friends and colleagues including Johnny Ashcroft and Mick Hamilton rallied round him and organised a sucessful benefit concert for him in Sydney. After twenty years apart, Bobby & Laurie reunited in the '90s and played at rock dances and the rock & roll revival circuit. They also appeared in a TV advertisement for a Melbourne furniture store in 1996. Their last performance together was at the Moorabbin Town Hall in early June 2002. As noted by Tony Barber in his recent book, it's almost certain that Bobby & Laurie would have had a featured spot on the 'Long Way To The Top' concert tour, but sadly, this never came to pass, because on 13 June 2002, Laurie died suddenly from a heart attack. Loved by his fans and respected by his peers, Laurie was a fine songwriter, singer and guitarist, who was legendary for his wicked sense of humour, his lifelong diet of bourbon-and-coke and chips, and his fabled record collection. Laurie Allen's untimely passing has robbed us of a vital connection to the birth of rock'n'roll in Australia, but he leaves behind a legacy of great music. For a complete listing of the 'Bobby & Laurie' recordings (including detailed chart information) and listings Bobby and Laurie's various solo works, we strongly recommend the Discography on Bonnie's Laurie Allen tribute site. "I Belong With You" / "Glory Of Love" // "Hold Me" / "Goodnight Irene"
"Hitchhiker" / "Down In The Valley" // "Sweet & Tender Romance" / "You'll Come Round"
"Give All Your Lovin'To Me"
"I'll Come Running To You"
"I'm Not A Bad Guy"
A great tribute site to a great man, with tons of detail and lots of terrific photos of Laurie and his friends and colleagues.